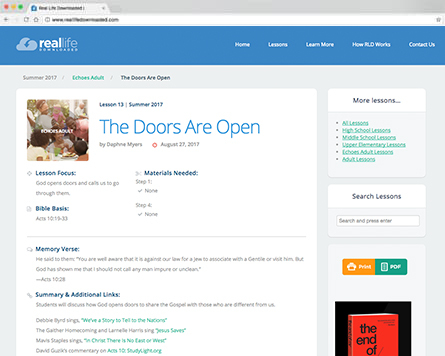 Biblically based, easy-to-prepare lessons give teachers the confidence to know they are providing an enriching Sunday school experience. Includes everything teachers and volunteers need to create fun and engaging ways for teens to encounter the Bible and discover God’s love for them. Can be used on it’s own or come along side your youth ministry programs. The teacher’s commentary is filled with creative ideas and suggestions for instructing your students, and to challenge them as they learn the Bible and apply its principles to their lives. Blueprint is the student resource for your high school class. Featuring weekly Bible studies and articles for each Bible lesson. 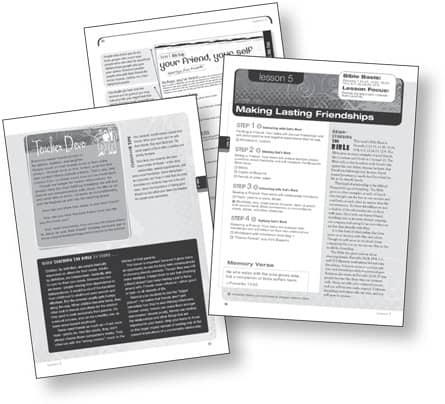 Includes quizzes, trivia, facts and time slices that appeal to high schoolers. 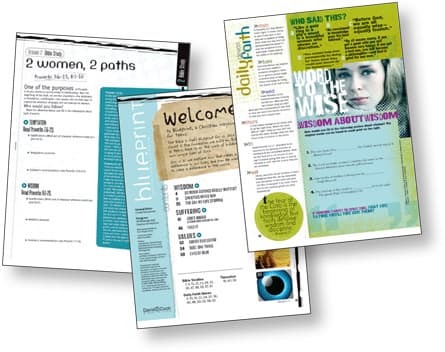 Also includes “daily faith” devotionals for students to stay in God’s Word throughout the week. "Since we’ve begun using Echoes literature, its teaching aids and other supplementary materials, our attendance has increased … everyone seems motivated to learn more and more about God’s Word."